In Case You Missed It: Creativity in the Law Panel Discussion Presented by Clarissa Rayward! Kiarah Grace Kelly; When a Barrister, a CEO, a Judge, a Dual Accredited Specialist and a Founder of a Non-for-Profit sit down to chat you can be sure that plenty of seriously inspiring words will be shared. However, when those same people gather to discuss creativity (and in the Law of all places!) 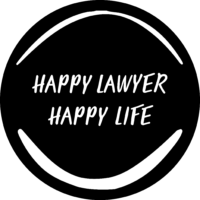 and the discussion is being facilitated by The Happy Family Lawyer – Clarissa Rayward, you can also be sure that we never really did know what to expect. Of course this was most obvious when a panellist pulled out a sandy blonde mullet wig and demanded to be called ‘Jayse.’ All of this and more really did occur when we gathered to raise funds for Dancing CEOs and the Women’s Legal Service at the offices of Grant Thornton on Wednesday 9 May 2018. On the panel we had Matthew Hickey – Barrister, singer extraordinaire and member of the hugely successful group the 10 Tenors, stories of which he can no doubt dine out on for ever more. To his right sat the 2018 Agnes McWhinney award winner – Ann-Maree David. The panel also included His Honour Justice Colin Forrest of the Family Court, Zinta Harris – founder of Harris Law and Dual Accredited Specialist as well as Milan Gandhi – founder of The Legal Forecast and Graduate at McCullough Robertson. The evening started with each of the panellists reflecting on what creativity really meant to them. Although a simple enough question, the responses which followed were incredibly insightful, practical and allowed us a chance to get to know each of the panellists. Matthew believes that creativity occurs when we have to “work out what isn’t, and then work out how it can be”. This concept of problem solving and out-of-the-box thinking is extremely commonplace in the work that lawyers do and yet we so very rarely put these skills in the same box as our creative ones. Zinta said that creativity evokes a sense of flow, slowness and reflection. The concept of flow is by no means a new one, now a widely accepted term in positive psychology; flow is the full immersion in a feeling of energised focus (thanks, Wikipedia)! Justice Forrest described creativity as the flexibility we must have with the pathways we take in life. For me, His Honour’s advice applies to the big and small journeys we have to complete. Whether it be your wider career path, a plan for what you want out of your life or even how you plan to approach a single matter, we must prepare for surprises and be creative in our efforts to overcome them. Milan insists that creativity can, and does, occur in our everyday lives and Ann-Maree reminds us that it’s not something that happens according to plan. Ann-Maree’s reflections reminded me that creativity and flow can occur in even the most unexpected ways, which means we must also look for creativity in unexpected places. My journey toward creativity has been fraught (well, not really). However, I do feel like I’ve always lived with the impression that creativity is for those who paint, recite poetry or have complicated coffee orders. While these are clearly very worthy creative outlets, they are not an exhaustive list. I discovered creativity when I decided to make an effort to live as ‘authentically Kiarah’ as I could. This inspired a love for unique fashion and using greater expression with how I dress, it also meant that I would decorate the spaces where I spent the most time with colour, fun and special things which felt more me. You probably won’t find anything of mine which isn’t obscenely colourful and that’s exactly the way I love it. I can’t tell a story of creativity without producing a cautionary note – beware the spare room in my house. To put it simply it is a graveyard of all my abandoned hobbies and projects, if anyone is in the market for half completed paintings or unknitted scarves, I’m your girl. This brings me to a personal highlight of the panel event. Clarissa asked the panel to reflect on what it means to make a mistake and the following quote was splashed across the projector screens; “Creativity requires the courage to let go of certainty.” When asked to respond Milan explained that he has seen firsthand the unique brand of self-doubt experienced by lawyers. He said that even when we are called on to attack a completely blank canvas, where there is seemingly no right or wrong answer, our rigidity as lawyers will surface and may cause us to be too afraid to make a mistake or to even try. Milan told us stories of the early days of The Legal Forecast, when doubt had come across his team and the fear of making a mistake had put a hold on the project which they were working on. Milan encouraged us to remember to give our all to everything that we do. If we do, a task which might make us feel like we could have done better, which we may have only mustered 60% of our capability for – that 60% will still blow people away, and that we will always be left with a sense of pride. It was after this part of the night where I realised the very important place failure has in the discussion of creativity. There is no right way to be creative, to incorporate it into legal practice or to embrace it across our own lives. Rather, if we try and try again we can find new passions, find flow in our existing passions and be better people and lawyers because of it. Is creativity the answer to the future of law? Or perhaps more importantly, is creativity your answer to a future in law that you love? Some wonderful moments from the night! Hi! I am Kiarah Kelly a conscientious and hard-working soon to be lawyer living on the Gold Coast with an eye on social justice and effecting much needed change in the community, even if that means starting small. I am studying a dual Bachelors degrees in Law and Government and International Relations as Griffith University on the Gold Coast. I have been testing my legal toes in the water at boutique Gold Coast Law firms and I am currently merrily serving as a Legal Secretary to Merv Morris and Blayne Ledger of Barron and Allen Lawyers- GC in the Property, Commercial and Family Law sectors. I have also been championing a personal cause of Youth Road Safety Issues over the last 12 months, unrelentingly working alongside the minister for Road Safety Mr Mark Bailey, on numerous projects within his office. What’s on my horizon? My passion for family violence prevention, family law issues and women’s legal issues will be a guiding light for my future career. I aim to graduate with dual degrees in November of 2018 and until then, I will travel the world, focusing heavily on volunteer pursuits here at home and continue making waves in the discussion of Youth Road Safety issues in this country. I would love to connect with you on Linkedin and Instagram!